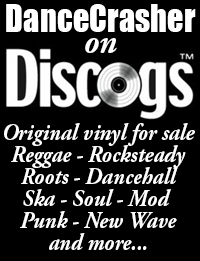 Out in October from New York’s Digikiller crew come three 7″s on the same rhythm form the Tasha label. 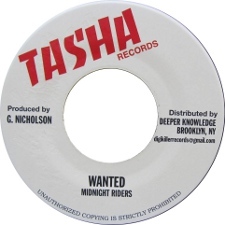 Produced by George Nicholson, the Michael Palmer and Steve Knight tunes were both previously issued around 1984 whereas the Midnight Riders tune is apparently previously unreleased. These are all more than fine with a tough rhythm that shows that dancehall hadn’t entirely lost it’s way prior to the digital onslaught of the following year. Pick of the bunch is the Steve Knight but all three are worth picking up.